A set of 60 self-adhesive, mini state flag stickers. 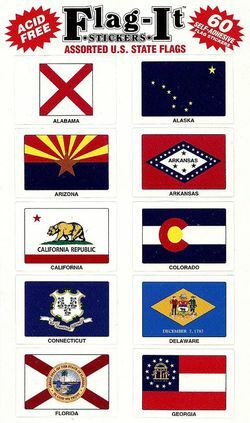 There is one sticker for each state flag and additional stickers for U.S. Territories and U.S. historical flags ...each sticker measures 1 1/8" x 1 5/8".